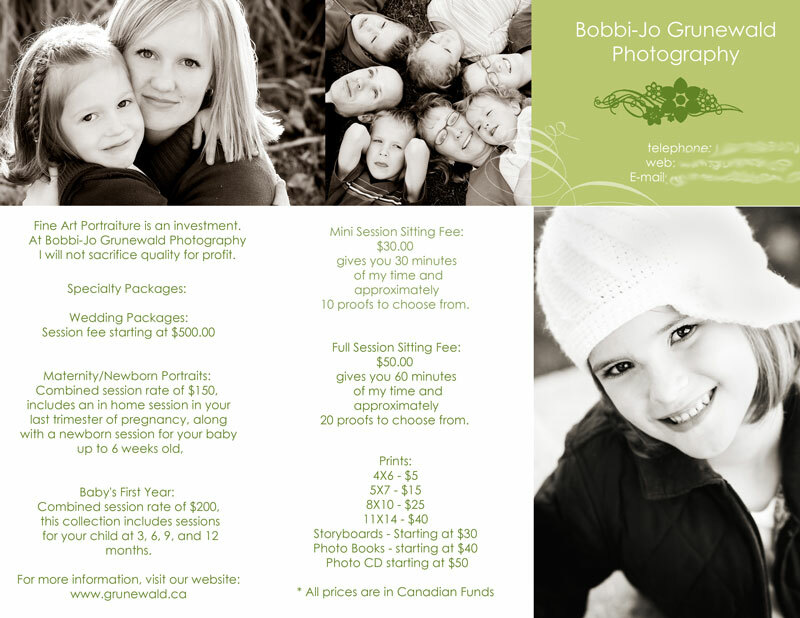 Brochure – It Works For Bobbi! 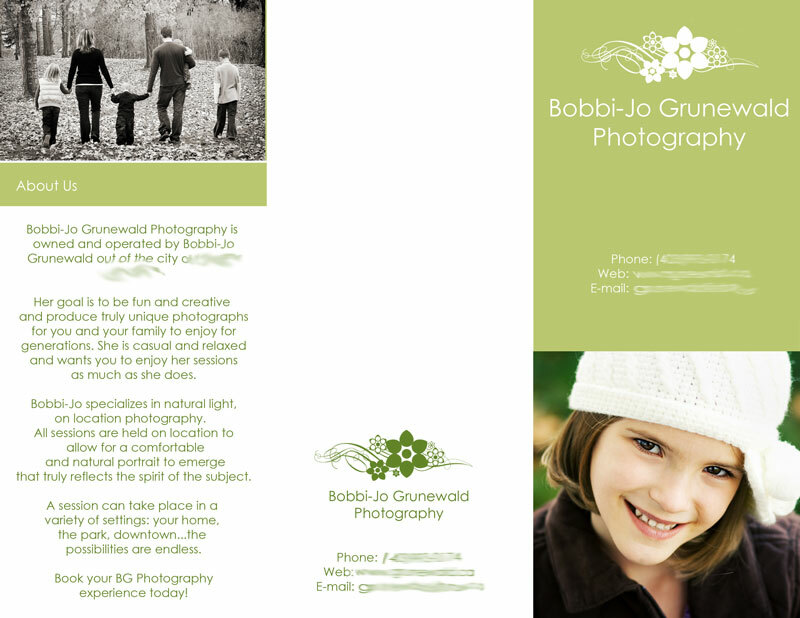 Published on November 6, 2007 August 9, 2016 by Bobbi-Jo G.
I’d love some opinions on a brochure I’ve been designing for my photography business. Obviously, the phone number and some contact details will change when we move, but I would love some opinions about the overall look. Any helpful hints/ suggestions would be helpful and appreciated. I’m in no hurry to get these printed, so I’ve got time to change things here and there. I’ve blurred out the contact info. (for privacy) so obviously that will be clear when they are printed. Also, WHERE should I get these printed? It’s an 8.5X11 document – but I’d like glossy and borderless. Any suggestions? 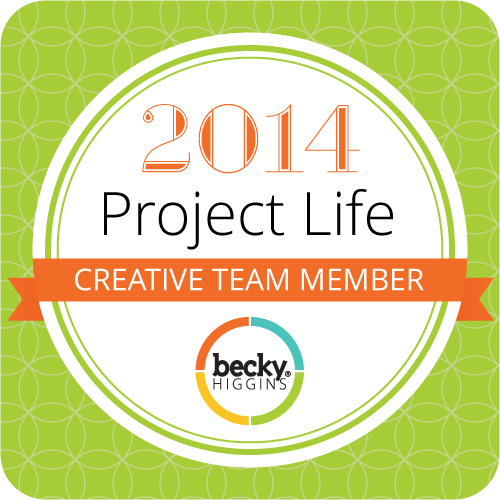 Next Digital Scrapbooking Tutorial – It’s a Looooong one! I don’t have any suggestions on improvment, it looks amazing to me, but for where to print them off, Staples or Office Depot are good ones. I think that you get a deal if you print a lot off. My suggestion is to call around and find out where the best place is if you don’t like Staples or Office Depot. I think you should put huge arrows pointing to that really cute family….!! Looks awesome! Really impressed. I’ve gotten lots of stuff printed at Minuteman Press and have been happy with it. the green is beautiful and I agree with Tiff- those are some beautiful derrieres of the Boyd family. (they can now be famous!). good job . I think you have it right on the money. As far as printing you can call any of the print shops and they will do exactly what you want and since you already have it designed they will cut you a huge deal! Good Luck!! !